The sale of the building plot offers the chance to construct a good sized individually designed detached residence in what is a sought after village location at Whiston. The plot is located close to open countryside and is well placed for travelling into the market towns of Leek, Cheadle or Ashbourne or into the Potteries conurbation. The sale of this plot could be of interest to builders or is ideally suitable for a self-build project. The plot extends to approximately 600 square metres or thereabouts. Full planning permission has been granted on appeal dated 14th February 2018, being appeal reference APP/B3438/W/17/3187025. The original application was dated 3rd March 2017, being reference SMD/2017/0148. 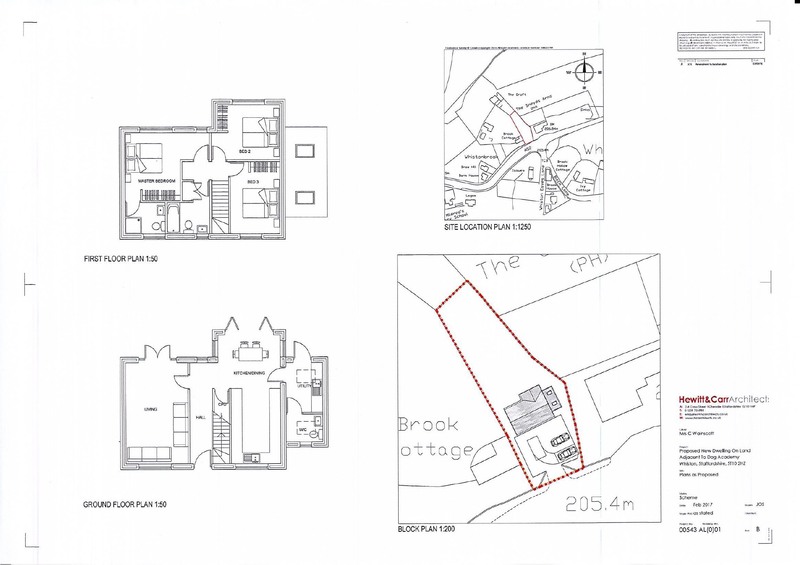 A copy of the appeal decision and relevant plans are available for inspection at the Agent's Leek office. We understand all mains services are located close by, although prospective purchasers should make their own enquiries as to the feasibility of connecting them onto the site.